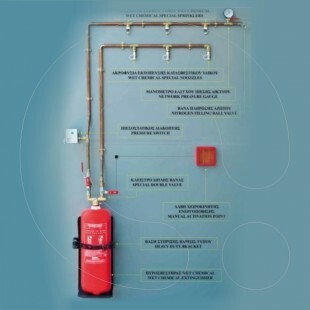 IG 541 is used as agent for extinguishing fire in sensitive areas e.g. 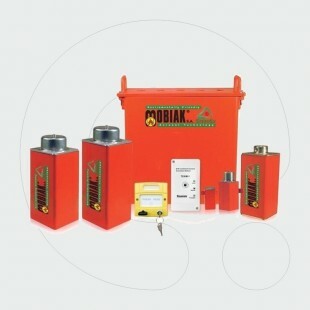 : computer rooms, machinery storage facilities, sensitive devises storage facilities etc. 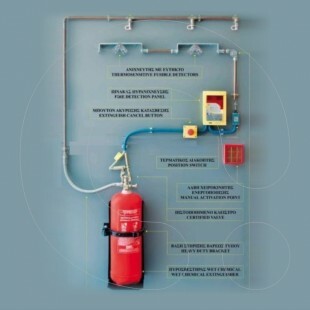 IG 541 is used as agent for extinguishing fire in sensitive areas e.g. : computer rooms, machinery storage facilities, sensitive devises storage facilities etc. IG 541 consists of Nitrogen (52%), Argon(40%) and Carbon Dioxide (8%). It is odourless, colourless, non - corrosive and because of the fact that is consists of gases that exist in the atmosphere, it has no effect on the ozone layer and has zero effect on the rising of the atmospheric temperature. IG 541 extinguishes the fire by decreasing the existing oxygen levels of the are below 13% (most common materials stop burning at this level). In the same time, the Carbon Dioxide of the mixture protects any human being trapped in the area from a low oxygen level. This effect occurs due to the fact that in case the Carbon Dioxide existing in the blood and controls our breath rises, the oxygen transfer to the human brain rises equally. Therefore, if a human being is trapped in area of oxygen level less than 21% - which is the normal condition-, then it is subjected to a very risky situation. The Carbon Dioxide of the mixture causes the arteries to expand and as a result a higher level of oxygen – approximately of 15% compared to normal conditions - is transferred to the brain. 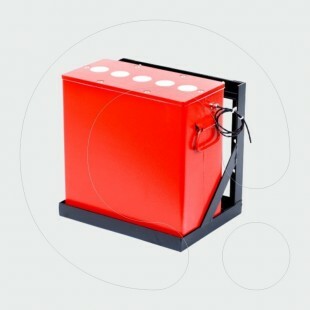 IG 541 is stored in cylinder of various capacities e.g. 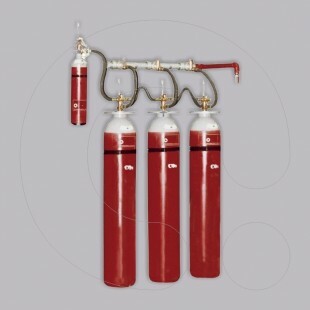 : 16, 40, 60, 67.5, 80 Lt.
Steel High Pressure Cylinders, seamless and of various capacities, electro statically painted in red with black - grey - green colour neck. Cylinders are certified according 99/36/EC and EN 1964 - 1 (π) . 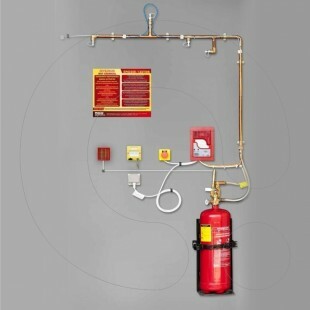 System Valves pneumatically-manually activated with pottential use of a fuse. 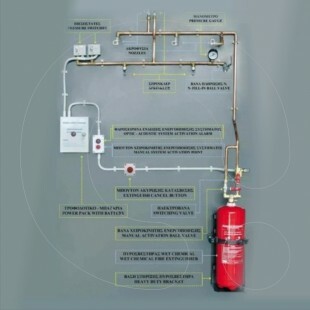 Further to the above, an electrically activated valve can be used, depending on the needs of the user. 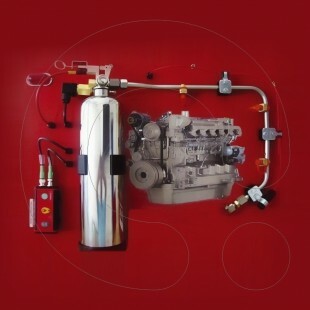 Steel Pilot Cylinder 3lt capacity, containing nitrogen, with manually and fuse activated valve or electrically activated valve depending on the requirements of the user (Pilot Cylinder is used in case of a battery of more than two cylinders). 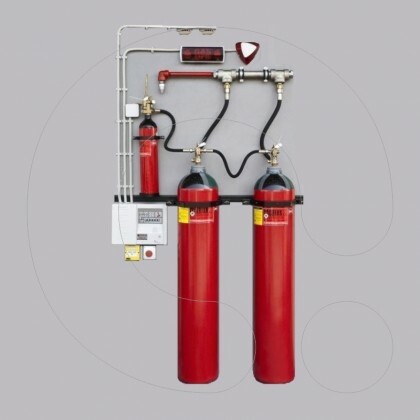 High Pressure Cylinder is CE certified according 97/23/EC by TUV (CE 0036). High Pressure Collector, 300bar, galvanized, its diameter varies from 11/4” to 3”, with 3/4” inlet and outlet varying from 3/4” to 3”. 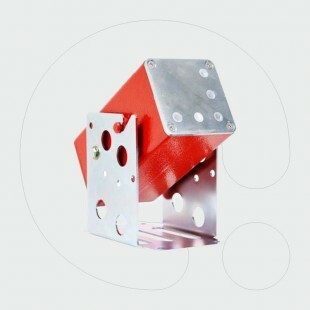 Non return valves 3/4” - 3/4” are obligatory for the proper installation of the collector so as its wall brackets. 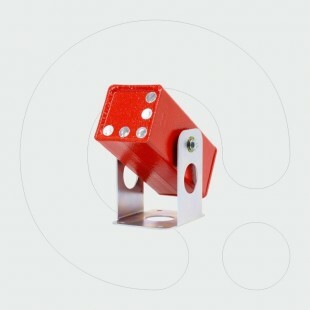 Also provided: Cylinder Bracket, High Pressure Flexible Hoses for connecting the cylinders one another and their connecting to the collector, various types of nozzles depending on the Fire Safety Study’s requirements. Connect the valves with each other using the flexible hoses 3/8”- 3/8”. Fit the blind coupling 3/8” to the final cylinder to seal the system. 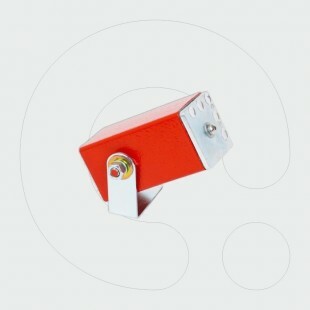 Connect the Pilot Cylinder with the first Cylinder using a flexible hose 21,78 - 3/4”. Install the fuse and the blind coupling 3/8” to the pilot’s valve.